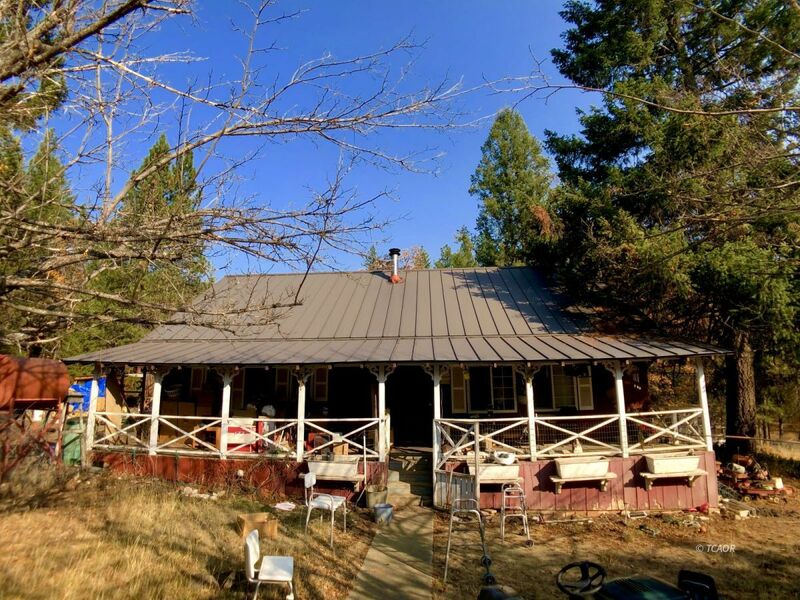 Beautiful, secluded, end-of-the-road farmhouse on your own personal and private 1.23 acre frontier-town! The home boasts some upgrades like a recently updated kitchen, new(er) Bosch washer and dryer set and Kerosene thermostat heater, to name a few. Theres a great open living room with a wood fired stove that flows into the dining room and kitchen. The home has two bedrooms, both downstairs, but upstairs the attic spaces have been insulated and carpeted and with a little more finishing can be like an additional 2 bedrooms or bonus rooms! There's been an outdoor bathroom added to the back deck for an occasional risky and brisk shower! This little homestead comes with no fewer than 5 old-timey looking outbuildings, carports and storage spaces and two of those have sturdy cinderblock perimeter foundations. One auxiliary building was a workshop of sorts and all of the outbuildings have power. Well water serves the home and grounds, including a nice flat sunny front garden space and small apple orchard. Developed and usable, this little homestead is a great place to live the country life close to town. See it today.